Easy to use for your Skype video and audio interviews, conferences, podcasts, or family VoIP calls. 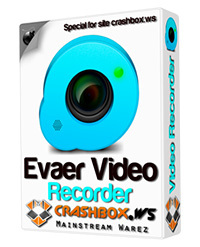 Evaer – excellent Skype video & audio recorder features: Capture original Skype video and audio data to record with high quality. Support single video call and group video calls. Directly record Skype video calls to your hard disk with side-by-side or separate mode. Record separate MP3 audio file in the video calls is optional. Choose the video compressor by your requirement. Automatic chat reply. Easy to use with friendly UI.